Individually wrapped chocolate eggs made of white chocolate. 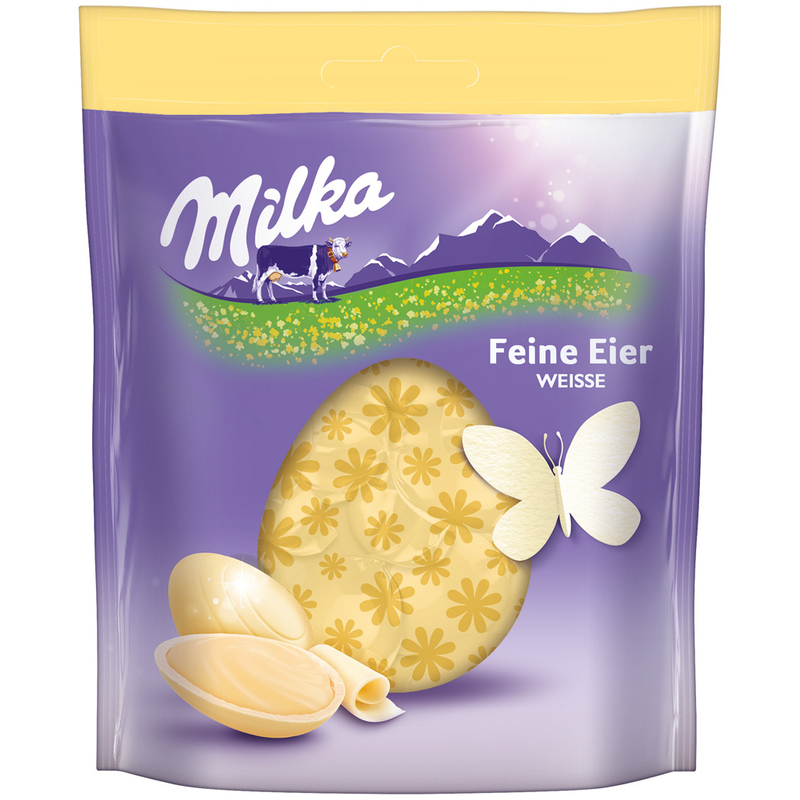 For all lovers of white chocolate, the Milka fine eggs white chocolate are just the right. These chocolate eggs are completely made of white chocolate and they are filled with a fine white cream. Ideal for decorating the Easter basket but also for snacking in between. 90g / 3.17 oz NET. WT. Sugar, cocoa butter, SKIMMED MILK POWDER, SWEET WHEY POWDER (from MILK), BUTTERFAT, emulsifier (SOY LECITHIN), flavoring. Zucker, Kakaobutter, MAGERMILCHPULVER, SÜßMOLKENPULVER (aus MILCH), BUTTERREINFETT, Emulgator (SOJALECITHIN), Aroma.